From the New York Times bestselling author of Circus Mirandus comes the magic-infused story of a golden gator, two cursed kids, and how they take their destinies into their own hands. When the red moon rises over the heart of the Okefenokee swamp, legend says that the mysterious golden gator Munch will grant good luck to the poor soul foolish enough to face him. But in 1817, when TWO fools reach him at the same time, the night's fate is split. With disastrous consequences for both . . . and their descendants. Half of the descendants have great fates, and the other half have terrible ones. 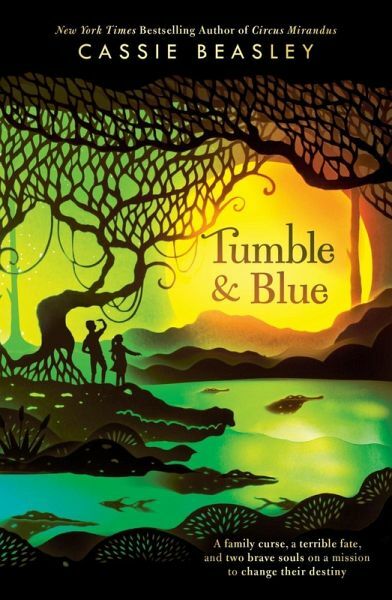 Now, Tumble Wilson and Blue Montgomery are determined to fix their ancestors' mistakes and banish the bad luck that's followed them around for all of their lives. They're going to face Munch the gator themselves, and they're going to reclaim their destinies. But what if the legend of Munch is nothing but a legend, after all? Full of friendship, family, and the everyday magic and adventure that readers of Savvy and A Snicker of Magic love, Cassie Beasley's newest middle grade book is another crowd-pleasing heart-warmer-perfect for reading by yourself, or sharing with someone you love. From the Hardcover edition. Cassie Beasley is from rural Georgia, where, when she's not writing, she helps out on the family pecan farm. She earned her MFA in Writing for Children and Young Adults at the Vermont College of Fine Arts. Her first book, Circus Mirandus, was a New York Times bestseller, a New York Times notable book, and a Nerdie Book Club Award winner.